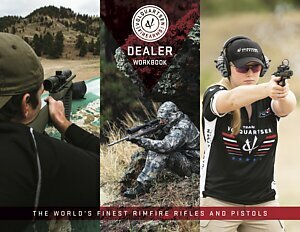 We extend dealer pricing to any retailer with a current FFL. We also have a Stocking Dealer program for those dealers looking to get the most benefit from carrying our products. Retailers in our industry without an FFL can receive dealer pricing with a qualifying accessory order. Non-FFL dealers are not eligible to receiver dealer pricing on any items requiring an FFL. Sign up here to create your account and email your FFL to info@volquartsen.com. We'll be in touch soon with all the details. Once approved, you'll be able to see dealer pricing and order online as well as access our other dealer resources. This will be your login for our site. Order updates will also be sent to this address.